Christ Our Reconciler: Gospel/Church/World from the Third Lausanne Congress on World Evangelization, edited by Julia Cameron. In 1974, Billy Graham convened the first Congress on World Evangelization in Lausanne, Switzerland. The historic meeting brought together 2700 religious leaders from 150 different nations and out of it came the Lausanne covenant (drafted by a committee chaired by the late John Stott). That historic meeting set the trajectory for unity and partnership in mission for Evangelicals across the globe. In 2010, the Third Lausanne Congress on World Evangelization was held in Capetown, South Africa (the second was in Manila, 1989). Like the earlier congresses evangelicals across the globe gathered, some 4,000 participants from a 198 countries, for the purpose of seeking the guidance of the Holy Spirit as they advance God’s mission in the world. From this historic meeting the Cape Town Commitment was drafted providing a confession of faith for Evangelicals worldwide across denominational, cultural and ethnic lines and issuing a call to action. Graham and Stott, the movers behind the original Lausanne Congress, were unable to attend due to age and poor health (Stott has since passed on); however they each sent their greetings which were read as the congress was convened and their influence was felt throughout the proceedings. For those who were privileged to attend this meeting (I know a few people who were there), they heard testimonies, expository meetings and papers delivered which addressed the priority of evangelism and holistic mission and the unity of the global church. Partnership between Evangelicals across the globe in mission and evangelism. First, the Lausanne movement has set the trajectory for evangelical mission across the globe for the last 38 years. The significance of the Cape Town Commitment and the Third Congress have yet to be seen, but it is a historic meeting which will impact Christian witness across the world and the themes of Christ’s reconciliation and mutual partnership in mission will bear fruit. Secondly, American Christians like me are sometimes tempted towards a form of nationalism or ethnocentricity which prevents us from appreciating the experience of Christians in the two-thirds world. Half of the attendees of the Cape Town Congress were from the majority world and bring a fresh experience to mission, the need for reconciliation, and perspective on the way the prosperity gospel affects the world’s poor. They also have had to navigate mission in culture’s which are antagonistic to the Christian faith, or lack basic literacy. If the mission of the church is to succeed we need their wisdom and experience. Thankfully these essays reveal some of the exciting things happening in the global church. Thirdly, these essays are not short on prophetic challenge. By reading these essays we become more aware of the ways the church worldwide faces persecution and navigates ethnic and economic tensions. See for example the testimony of Archbishop Ben Kwashi of Nigeria who miraculously was delivered by God from thirty people intent on killing him, or Nour Armagan (not his real name) who courageously share’s his faith in the Muslim world, pr Tim Keller’s essay which challenges Christian’s across the globe to center their missional efforts in urban centers, or Nigel Cameron and John Wyatt’s challenge evangelicals to consider how new bio- technologies challenge the dignity of human beings, or Calisto Odede and Chris Wright both challenge Christians to live lives of integrity, or . . . . 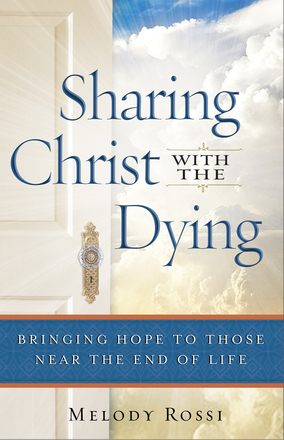 I think it is impossible to read these or any of the other essays in this book and not feel called to grow in our commitment to Christ and his church. Fourth, the Third Lausanne is a powerful testimony to the ways in which Christ is Reconciler. This a gathering of Christians from different cultures across the globe from different cultural, ethnic and denominational heritages. Not all the participants (or presenters) agree with one another on every point of doctrine or theology but they are committed to the historic Christian faith, the priority of holistic world mission and to being gracious with one another (For example the Cape Town Commitment’s statement on Men and Women in partnership accommodates both complementarian and biblical egalitarianism). I for one am energized by what I have read here, am grateful for the thoughtfulness of the Cape Town Commitment and upon reading these essays have a better sense of how I can prayerfully support God’s mission and the global church. Thanks to Kregel Publications for providing me with copies of Larry Moyer’s books–Show Me How to Preach Evangelistic Sermons, Show Me How to Illustrate Evangelistic Sermons–in exchange for this blog post and review. I am passionate about preaching and want to grow in my ability to preach sermons that are impactful. I particularly want to be used by God to bring people into his Kingdom. Both of these books offer some sound advice about how to engage non-Christians with life-giving Good News. Larry Moyer is the founder and CEO of EvanTell, Inc., a ministry which trains people in evangelism. He has a Masters of Divinity from Dallas Theological Seminary and a D.Min from Gordon Conwell and is sought after as a speaker in evangelistic outreaches and training seminars across the country. He has written several other books but all are on the theme of Evangelism and books to aid new Christians. In Show Me How to Preach Evangelistic Sermons, Moyer addresses both the exciting opportunity available in Evangelistic preaching (part 1) and the content and delivery of our message (part 2). In part 1, Moyer begins by telling his own story of being called as an Evangelist (as a youth with a speech impediment) gives reasons for evangelistic preaching and commends and describes expository evangelistic preaching. His method of Evangelistic preaching is rooted in particular biblical texts. Moyer commends especially the gospel of John as the one New Testament book written with non-Christian’s as it’s explicit audience. Nevertheless peculiar challenges arise from preaching Evangelistically from a text. Chief among them is the reality that few passages proclaim the complete plan of salvation, “1) We are Sinners; 2) Christ died for us and rose again; 3) We must trust in Christ. (43). So while Moyer advocates preaching from a text, he encourages preachers to shore up what is missing from a text by explaining the whole plan of salvation when we preach with Evangelistic intent. The rest of part 1 describes how to make the most of the opportunities for evangelism: How do we develop our Evangelistic speaking skills? ; how can we pay attention to and speak to non Christians? ; when are good times to deliver an evangelistic message? what false assumptions should we avoid? ; and how do you make the most out of the setting for your message? In part 2 Moyer addresses both the content of our message (i.e. the meaning of sin, the nature of repentance, what we are asking non-Christians to do, what is the nature of belief) and our method of delivery. He advocates short, well illustrated messages with judicious use of humor, pedagogically repetitious and aimed at the heart. He gives practical advice about how to craft an expositional evangelistic message and the different forms of invitation and follow-up. If you have read more than a few of my reviews, you know that one area of sustained critique I have against many Christian authors is their reduction of the gospel to what Dallas Willard calls ‘Sin Management.’ Certainly I agree with Moyer about the importance of personal salvation and the necessity of trusting Jesus for your eternal security, but I find that his definition of this as ‘the gospel’ is reductionist (which isn’t to say it isn’t still very important!). The gospel is nothing less than the proclamation that Jesus fulfills all of Israel’s hopes and that he is King (and by extension Caesar is not). This would paint the gospel, in much more politically challenging, holistic and compelling terms. I hear what Moyer is saying and I want more. As Scot McKnight has demonstrated, not every Evangelistic message we are given in scripture emphasizes our sinfulness, but they all emphasize Jesus. Nevertheless there is some helpful advice here in crafting messages which speak to non-Christians about their need for a savior (most of his expositional advice is rooted in Haddon Robinson’s approach). I certainly found enough meat here to help me grow as a preacher and help me aim my message at those who do not yet know Jesus. As the companion volume to Show Me How to Preach Evangelistic Sermons this book endeavors to help preacher’s messages connect with non-Christians. Moyer begins by outlining the usefulness of illustrations and gives advice for finding illustrations and the use of humor. Moyer contends that a well illustrated evangelistic sermon has at least fifteen illustrations (for a 30 minute sermon). Most of this book provides examples of illustrations and advice for their use under three headings: Sin, Substitution and Saving Faith. These correspond to the three essential elements of Evangelistic messages which Moyer describes in the previous volume. What I like about this book is its discussion on the use of illustrations. I enjoyed reading a number of his examples, but personally would not make much use of them. There are quotes, jokes and stories that illustrate different aspects of Evangelistic messages. While many of these are good, I find my best illustrations have been ones that I have personally gathered. I do not harvest illustrations from books of illustrations because they are less compelling to me, and therefore to my audience. So I read with an eye toward Moyer’s practical advice. In the end, I find Show Me How to Preach Evangelistic Messages the more helpful book. Both books have good things to say, but if you just get one, get the other one.